Results: 1 to 10 of a total of 235 results. Fisherman I do mostly fresh water fishing. 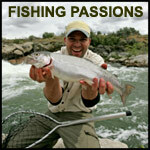 I am open to saltwater fishing and I would like to learn how to fly fish. Occasionally I catch & release fish. Fisherman Love to go to the clean mountains, hear the waterfalls and fish in the silence of the hills.